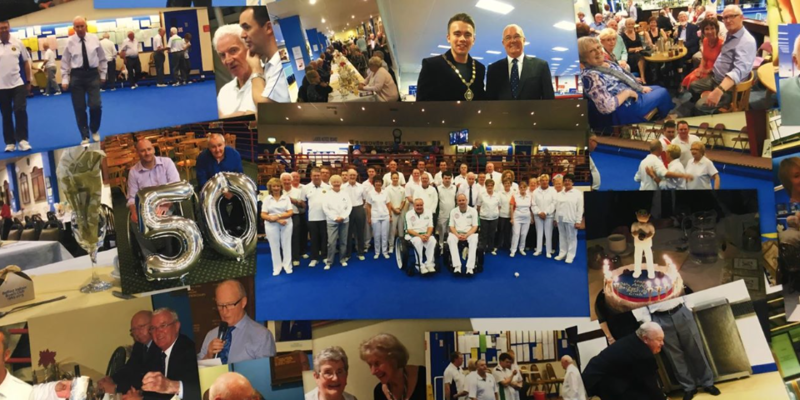 Congratulations to Belfast Indoor Bowls Club on the occasion of their 5oth anniversary. 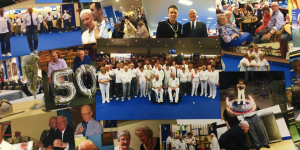 The club held a celebration dinner on Saturday 28th November. The celebration evening began with a bowling match between past and current internationals. Everyone enjoyed the game which was closely contested. The final score is unknown by the author, however, secretly I believe the Past internationals won (or did they??). After a drinks reception over 120 guests sat down to a fantastic dinner provided by Alberta and her team. The evening continued early into Sunday morning with a great band providing music for a very busy dance floor.